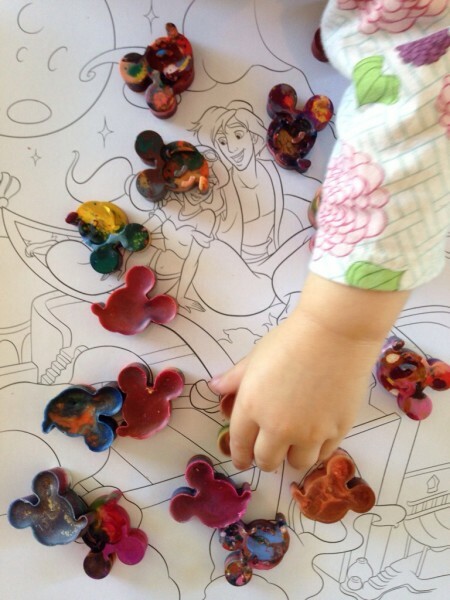 Miss V has been obsessed with coloring lately, leaving a trail of broken crayons in her path.. I didn’t want to throw away all the broken pieces, but something had to be done.. 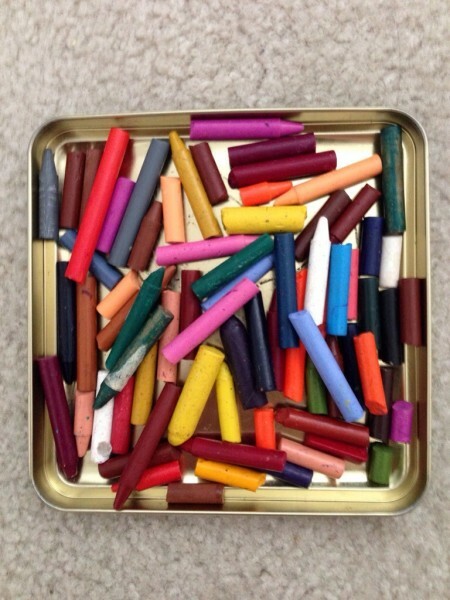 I looked at the Crayola Crayon Maker, but that was $35, plus expansion packs ran for another $7 each. No, there had to be a cheaper way.. 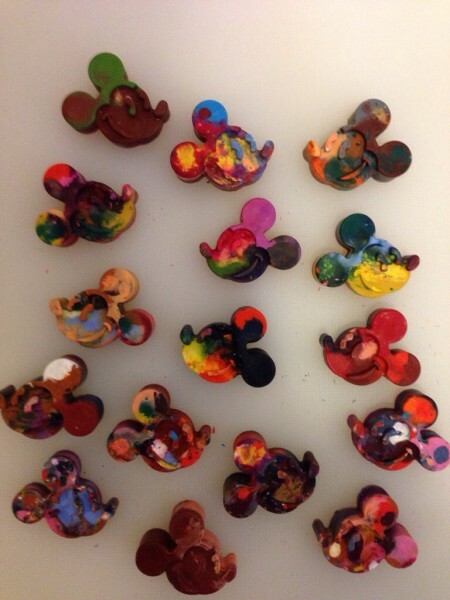 So, to Pinterest I went! Pinterest was full of tutorials. 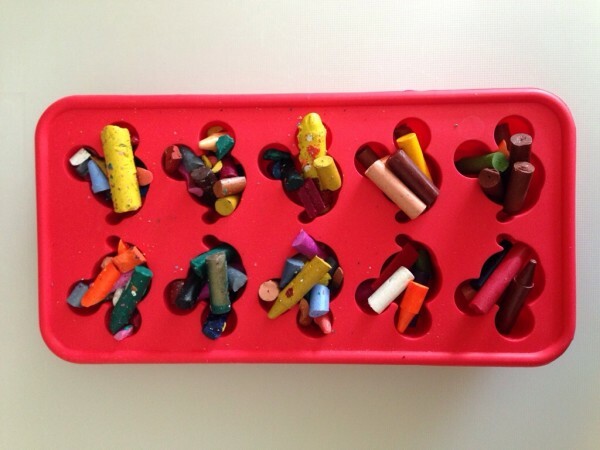 One of the most popular was to line cupcake tins and place the broken crayons in the oven to be melted. But, what was even cooler was the use of candy molds. 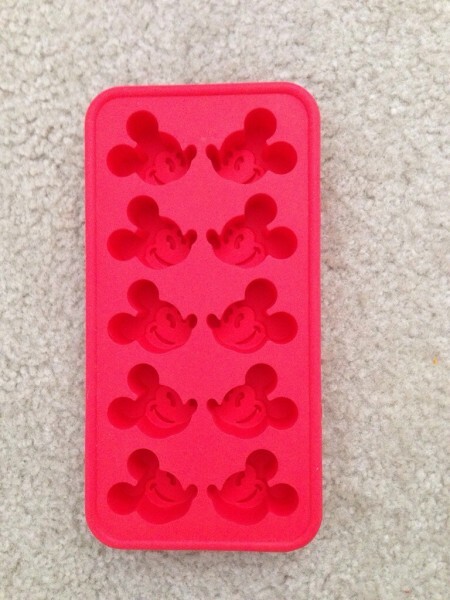 The Hubby and I purchased a Mickey ice cube tray at Disney World quite a few years back. We made use of it, but Hubby deemed it was getting “a wee bit of a funk”. So, it’s been out of commission for some time. Ah ha! 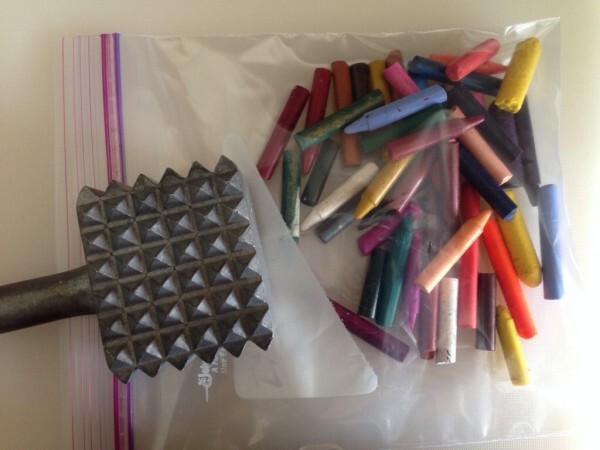 I’ll use the ice cube tray to make crayons! If you don’t have your own funky ice cube tray, there are tons of silicone soap and candy molds on Amazon for under $10, such as this Mickey Version for $4. You might even find something at The Dollar Store, Michaels, or even your local grocery store. I started by rounding up all the pieces and removing the paper wrappers. I placed the smallest pieces directly in the ice cube tray. Then, I placed the others in a plastic bag, and went to town with a mallet! The trick is to slightly overfill the cups. You can get super creative in putting like colors together, or even melting some colors, let it harden, and adding new colors. For me, I just threw everything together. Place in the oven at 220 degrees for 20 minutes. Let cool in the container for about an hour. It was really easy and didn’t cost a dime! Have you done something similar? Let me know in the comments!